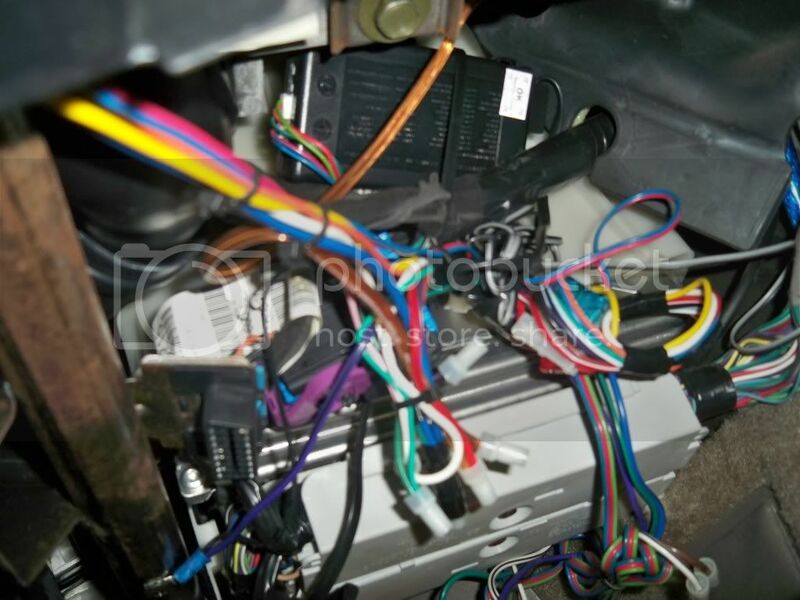 Alright ill admit, I have a decent knowledge of aftermarket stereo ratings and products BUT I could not wire the stereo i have in my car or tell you what most of the wires are/go to. Last night i looked where the PCM is to get the SN off of it, and realized i have a lot of busy wiring going on. I know the black box is to my Clifford alarm, but i have no idea what the two tan/off white "blocks" are or why they seem bolted to my PCM. ALSO I've read one example on this site, and several others on different car sites that people seem to have problems with their car when a custom PCM and Aftermarket Alarm are both installed....... I'm concerned about getting this PCM just for that matter. ^yep, those are your main harness connectors. 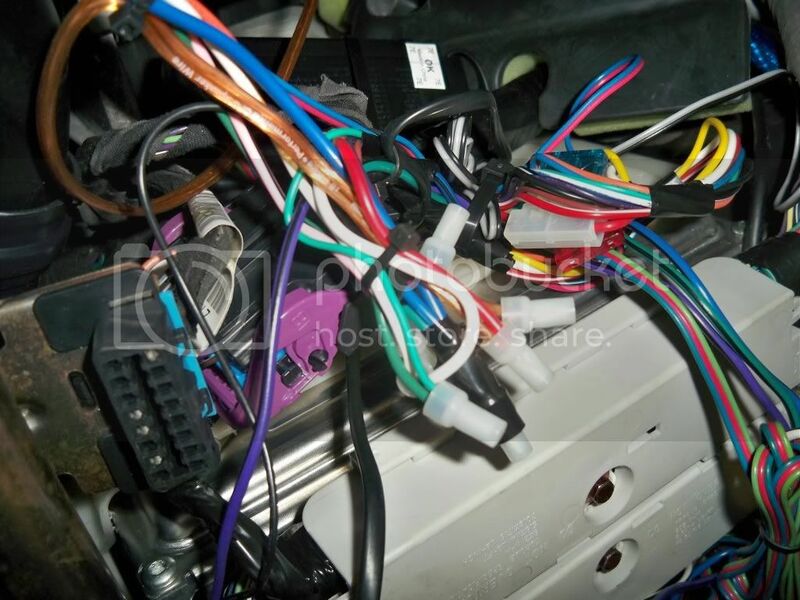 The pcm goes up into it's holder then the main harness connectors go up into the plugs and each has a 7mm bolt to hold it in. Those have to come off in order to get the pcm out and get the service number off the label. You just have to be careful putting the plugs back in so you don't bend any of the pins. I don't see why there should be any problem getting a custom pcm with an alarm installed on your car. Theyreally shouldn't have anything to do with each other. Sometimes you have to do a security relearn procedure to sync up the bcm and pcm codes, but you have to do that with any stock car when you replace the pcm, and has nothing to do with the aftermarket alarm. I actually didn't have to remove the whole PCM. It was loose and out of the clip hanging down and the sticker was half off so i stuck some needle nose pliers up there and ripped the sticker off. Ok so once i get the new PCM, i just need to re attach the harness connectors to it and push it back up there?